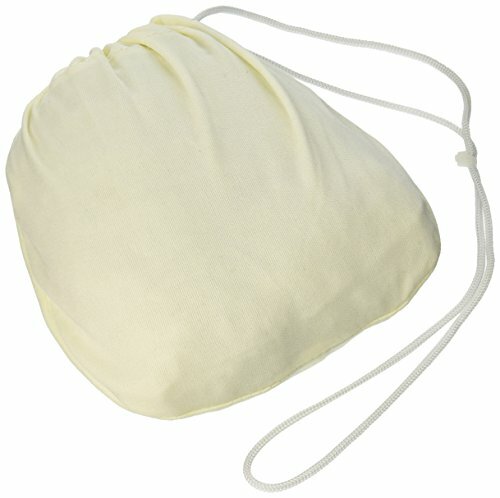 Replacement bag for Crystal Ball shower dechlorinator, 1 bag. Nylon tricot bags available in two colors Aqua or ivory. Lavender and pink are also available. Lasts over 200 baths! Crystal Bath Ball filter removes 90% or more of your chlorine. The filter media uses extra fine KDF filament. 1.5 oz of filament provides large and very efficient area for rapid water dechlorination in your bathtub, jacuzzi, spa, etc. The Bath Ball also contains 1 oz. of U.S.-mined crystalline Quartz, same as in Rainshow'r shower filter. Crystal has effect of reducing surface tension and increases suds and lather. Crystal Bath Ball filter Care Instructions: The unit should be kept clean to maintain long filter life. We suggest replacing the filter pouch after 12 months. Newly available RB-3 (RB-3000) replacement bags are slightly larger and have more filtering media, but they will fit both BATH-2000 and BATH-3000 Crystal Bath balls. If you have any questions about this product by Rainshow'r, contact us by completing and submitting the form below. If you are looking for a specif part number, please include it with your message.